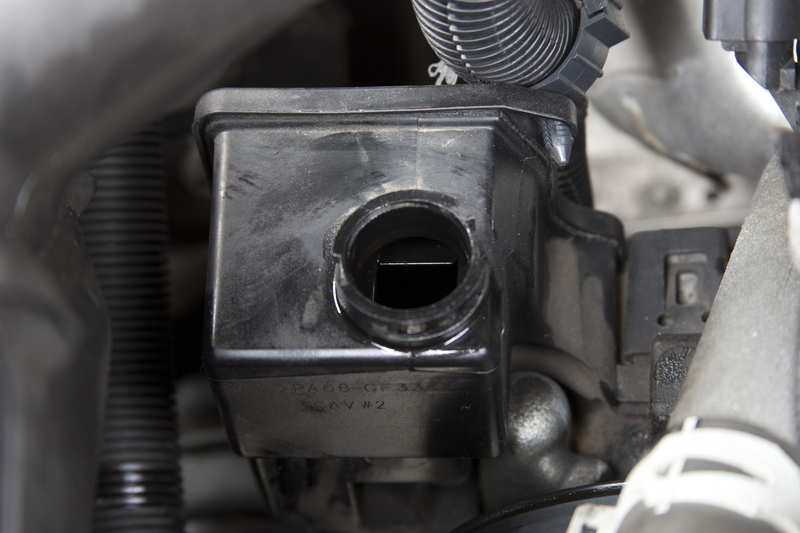 When you hear power steering pump noise, check the power steering fluid. Low fluid or a bad bearing in the pump could cause noise. 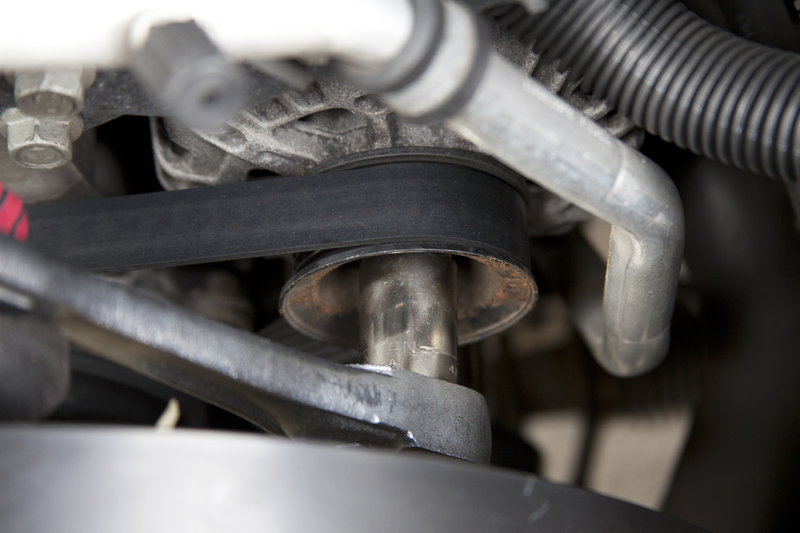 If you allow the fluid to run out several times, you will wear out the bearings and they will begin to whine -- so check the fluid every time you change the engine oil. Top it off as necessary, and if leakage is a continuing problem, locate the leak and fix it. If the noise is because the bearings are malfunctioning, change out the pump as soon as possible, as it will eventually lock up. Open the top of the power steering pump reservoir. 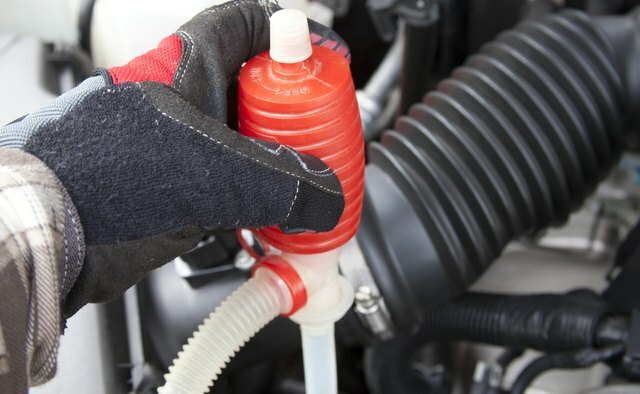 Siphon the power steering fluid out, using the turkey baster or other siphoning device. Place shop rags under the hoses at the back of the power steering pump. Slide the drain pan under the hoses. Remove the high- and low-pressure hoses, using the appropriate line wrench. Allow the hoses to drain into the drain pan. 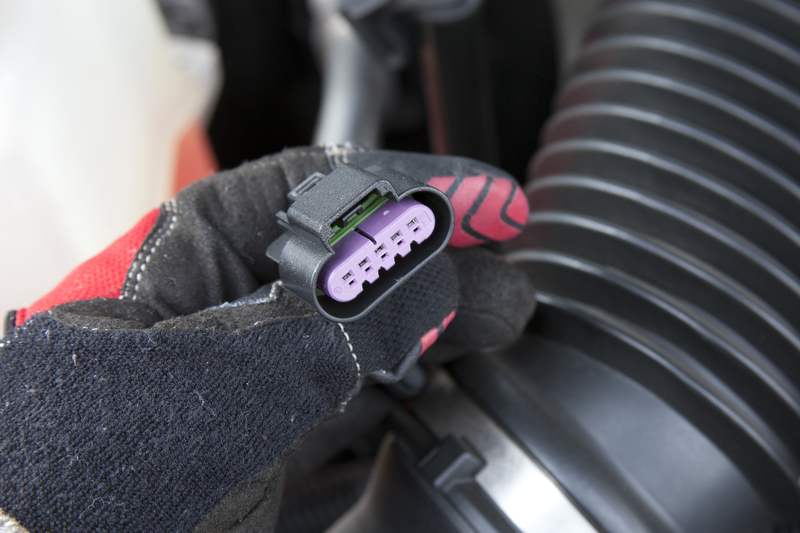 Unplug the wiring harness connector, if applicable to your year, make and model. 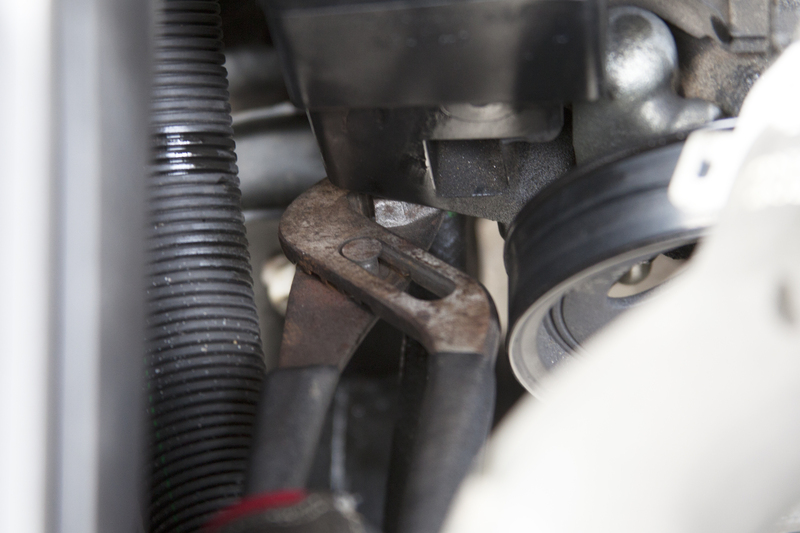 Slide a socket onto the bolt in the center of the tensioner pulley, if your vehicle has a serpentine belt. 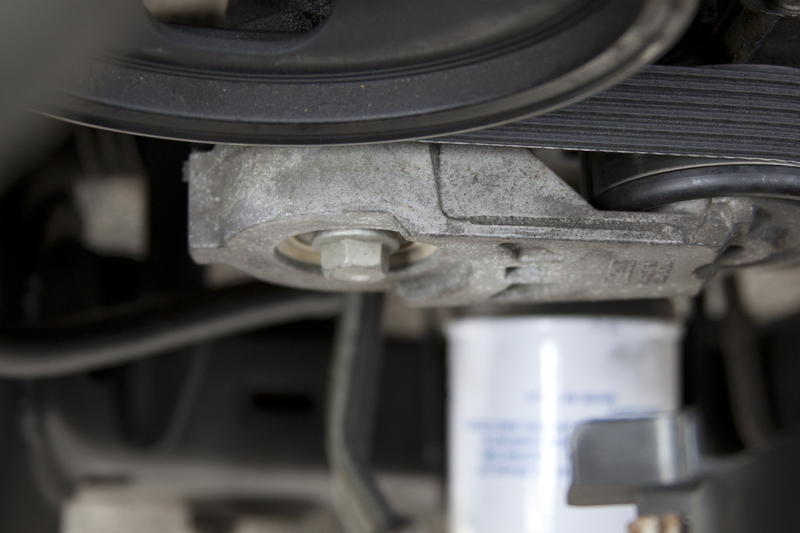 Rotate the tensioner pulley toward the center of the engine to loosen tension on the belt. Lift the belt off the power steering pump pulley. 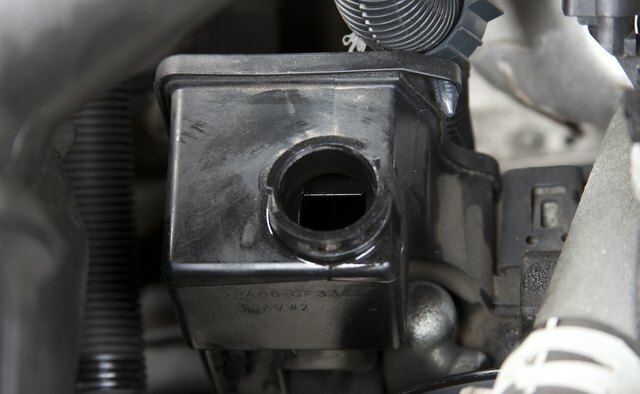 If the engine uses V-belts, loosen the bolt on the slider bracket. Some models have lock nuts in addition to an adjusting bolt. Loosen the lock bolt. 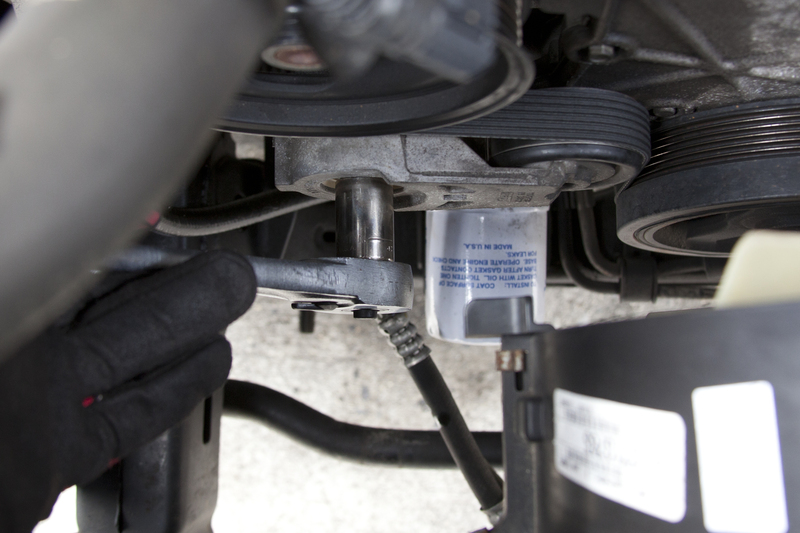 Slide the power steering pump toward the center of the engine to loosen tension on the belt. Lift the belt off the power steering pump pulley. There is no need, in either case, to completely remove the belt. Unbolt the power steering pump and remove it from the engine. If your vehicle’s pump has different-sized bolts, be sure to remember where the bolts came out, so you can reinstall them in the proper place. Bolt the new pump on the engine. 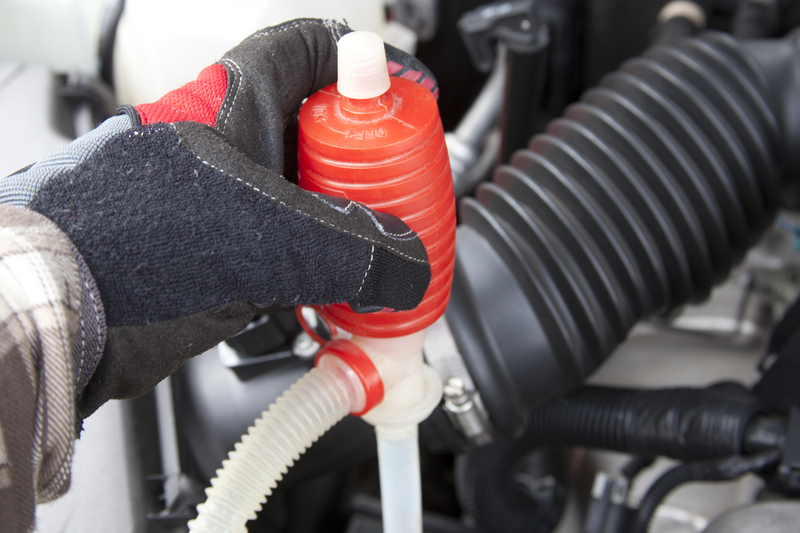 Lubricate new O-rings for the hoses with clean power steering fluid. Slide the O-rings onto the lines, then install the lines, using the appropriate line wrench. Tighten the lines firmly, but do not over-tighten them. 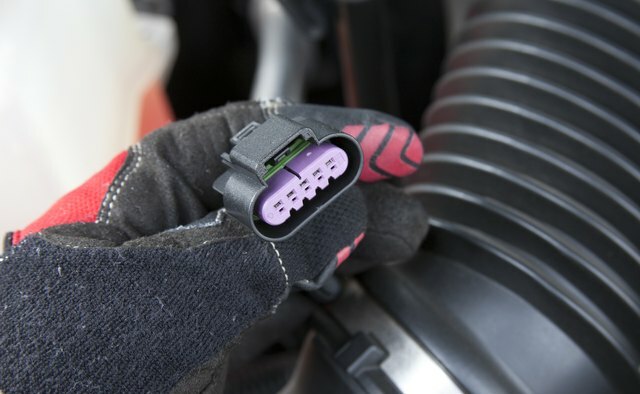 Plug in the wiring harness connectors. 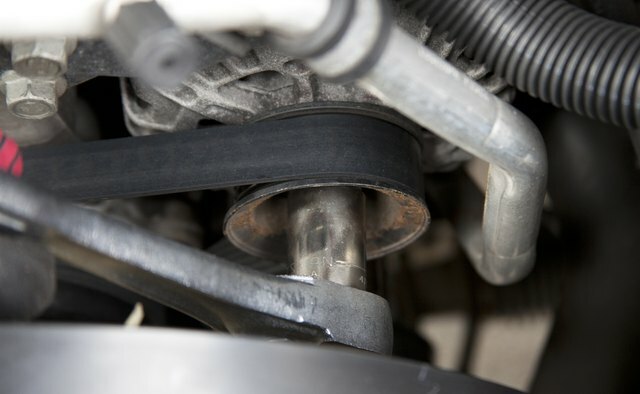 Reinstall the belt – for serpentine belts, rotate the tensioner pulley toward the center of the engine, slide the belt over the power steering pump pulley and tensioner, then allow the tensioner to gently rotate back into place. 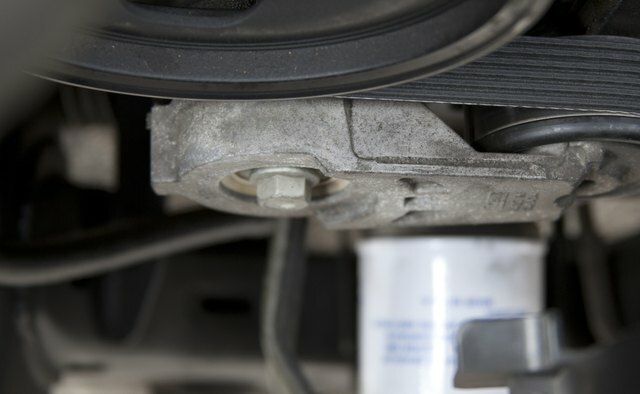 If the belt is a V-belt, push the pump toward the engine, install the belt onto the pulley, then pull the pump away from the engine to tighten the belt. Tighten the slider bolt. Twist the belt – it has the proper tension when you can twist it 90 degrees. Tighten the lock nut if applicable. Refill the power steering fluid reservoir. Bleed the system – you can find instructions for your particular vehicle by calling the dealership or checking a repair manual. For most cars, simply turn the wheel from the left lock to the right lock several times. Check the level of the fluid every few turns and top off as necessary. The system is bled properly when the fluid level stabilizes and bubbles are no longer present.